Provide outstanding healthcare while learning how to navigate the quickly evolving landscape of healthcare reform. 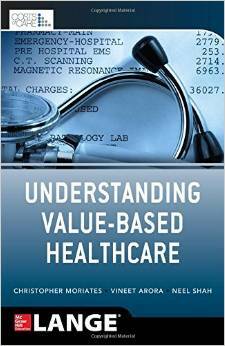 Understanding Value-Based Healthcare is a succinct, interestingly written primer on the core issues involved in maximizing the efficacy and outcomes of medical care when cost is a factor in the decision-making process. Written by internationally recognized experts from Costs of Care, this timely book delivers practical and clinically focused guidance on one of the most debated topics in medicine and medicine administration today. The book is a masterful primer for all clinicians—especially those of us hoping to navigate the transition from volume-based healthcare to value-based healthcare without running aground. What is value? Why is it so hard to achieve in healthcare, when it is the standard in most other industries? How can we overcome the obstacles and achieve a value-based system? With dozens of real-life stories of encounters with our broken health system, this book offers valuable insights into these questions and more. It is a must-read for everyone from student to frontline clinician to system leader who wants to contribute to the successful transformation to value-based care. This book is an instant classic. It masterfully summarizes and makes accessible a mountain of relevant health care delivery research. And it gives front-line clinicians and other health care leaders a raft of practical ideas to help make care dramatically safer, more patient-focused, and more affordable.